Cosmetic and plastic surgery is a big commitment and can be expensive if you choose to receive this treatment in Australia. My Body & Spirit offers safe, low cost overseas plastic surgery and cosmetic surgery holidays to Thailand and Vietnam. Cosmetic and plastic surgery procedures available through My Body & Spirit are offered at a fraction of the cost and come with a wealth of experience. Our travel agency is lead by over 35 years travel industry experience, and more than a decade coordinating overseas medical holidays. We organise everything for you including airfares, accommodation as well as the planning and scheduling of any of your complimentary medical assessments, treatments, and appointments. Low cost overseas plastic surgery and cosmetic surgery is a great option if you are traveling through a reputable company. By booking with My Body & Spirit you are receiving treatments at professional, leading edge hospitals and by medically recognised surgeons. We only associate with the best hospitals in Thailand and Vietnam and are here to help you throughout the whole experience. You also get to enjoy an overseas holiday while you rest ~ recoup and recover in style. This low cost overseas cosmetic surgery is for women who want to increase their breast size. Breast enlargement surgery is suitable to women of any age provided they still have firm breasts. The options are to have round or tear drop silicone breast implants. The normal insertion is with an incision under the breast. We also offer endoscopic breast augmentation which has an incision under the arm pit. When it comes to the positioning and size of the breast implants, your surgeon will discuss this with you during your consultation and examination. 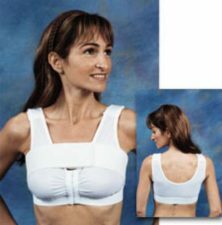 After the surgery, it is recommended that a compression bra be worn to assist in the healing process. This surgery normally requires 1 night in hospital. This surgery is normally for older women, who have lost the firmness of their breasts from breast feeding or with age. Depending on the severity, the surgeon may be able to just do an internal lift but in a lot of cases the patient will need to have an external lift. In this procedure surplus skin is removed and the breasts will be repositioned higher. In most cases it is also better to also have breast implants so that the breasts are much fuller after the surgery. After the surgery it is recommended that a compression bra be worn to assist in the healing process. This surgery normally requires 2 nights in hospital. This low cost overseas plastic surgery is generally for women and men 50 years and older. Face and neck lifts are most suitable for anyone whose skin has started to wrinkle and they would like a new, fresher look. This procedure involves tightening the skin both in the lower face and neck, with the scarring occurring predominately around the ear. The scarring is minimal and it is usually covered by your hair. The finish will be a natural refreshed look. 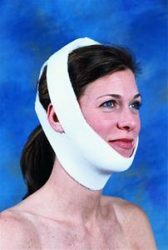 After surgery there is a compression facial band that should be worn to assist in the healing. This surgery is very common for the more mature male and female. When your upper eyelid has surplus skin and tends to fold and the skin may be resting on your eyelashes and be reducing your vision. The surgeon will reduce this surplus skin and the scar line is in the fold of your upper eyelid so not visible. Low cost overseas plastic surgery for eye lids is beneficial when there is sagging skin or puffy eyes that have surplus fat deposits. The surgeon will reduce the skin and there will be a fine line under your eye with minimal scarring. This surgery is just day surgery so no overnight stay in hospital. A tummy tuck is a plastic surgery procedure designed to remove excess skin and fat from the midsection while tightening the abdominal muscles. The result of tummy tuck surgery is a tighter, smoother, and flatter stomach. In some cases, patients may be able to undergo partial abdominoplasty, also known as a mini tummy tuck. This is especially true for patients who want to primarily flatten the lower abdominal area. This surgery is often required, or desired, when there has been a significant degree of weight. The skin generally doesn’t have enough elasticity to reduce the wrinkling of the skin by it’s own accord. 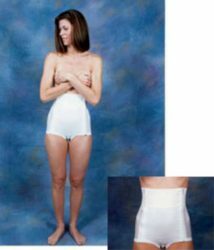 After surgery a compression garment is worn to assist in the healing of the area. This surgery normally requires 4-5 nights in hospital. Liposuction is one of the most popular cosmetic surgery operations. This surgery is ideal for people that are struggling to lose weight on their own. By having some fat removed, it often assists with their losing weight endeavours. In this procedure, a small cannula is placed deep into the fatty layer and pressure suction is applied until the fat is removed. Carefully sculpting the contour of the body is the key to success as the fat under the skin must be removed and the remaining fat smoothed to a thinner layer. After the surgery is complete, pressure dressing must be worn to the suction site to keep body contour in shape for the first couple of months. This normally requires 1-2 nights in hospital. Forehead lift surgery is good for people that have a wrinkled forehead and / or need to raise their eyebrows higher. The incisions for brow lifting are hidden within the hair by placing them a few centimetres behind the frontal hairline. The face and eyelids are not tightened by a forehead lift, although the upper lid skin may be stretched.